Following on from COMP 2831 - Business Analysis and Systems Design, this hands-on course introduces the concepts, tools and processes needed to be perform Quality Assurance (QA) and software testing. Students with some programming background are shown best practices and will focus on creating and executing test plans using test cases and test scripts. They will practice how to record and report results, as well as document identified issues. 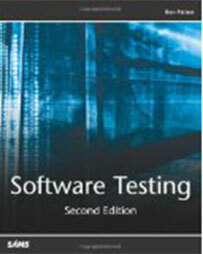 Exercises and labs will include using popular open source QA software testing and tracking tools. Topics include: Black Box, White Box and Grey Box testing techniques and all aspects of QA planning and execution. Automated testing topics include constructing a framework, scripting techniques, generating test data, test architecture, pre/post-processing, test maintenance, and job specific metrics. Successful participants will be able to understand effective software testing methods, create a Quality Assurance plan and a test plan as well as be able to monitor test processes, evaluate test results and conduct automated testing to industry standards. COMP 1409 and COMP 2831 or equivalent post-secondary computing education. REGISTRATION: No registration is permitted after the course has started without department approval. Understand the role of Quality Assurance in the software development process. Identify the different types of testing: Black Box, White Box and Gray Box. Prepare and condition test data. Perform manual testing, using a manual testing tool. Perform automated testing, using an automated testing tool. Use an issue tracking tool to create and assign bug reports. Understand requirements traceability and create a traceability matrix. 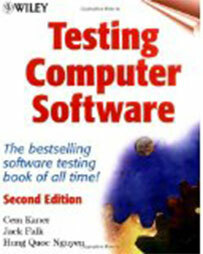 Demonstrate a working knowledge of Unit Testing. Interested in being notified about future offerings of COMP 3829 - Quality Assurance and Software Testing? If so, fill out the information below and we'll notify you by email when courses for each new term are displayed here.